As Lemongrass is getting more and more popular in recipes, this is becoming a very common question. If your not sure what it is, Lemongrass is a citrusy , hard herb that is very popular in Asian cooking, in particular Thai food. It imparts a lovely fragrant lemony aroma and works well in broths, curries and drinks. It generally comes in sticks that can vary in thickness and length. Most of the flavour is in the lower two thirds of the stick, so this is the part you would need to use to get best flavour. How you prepare Lemongrass will depend on how you intend to use it. If you are looking to infuse, then ‘top and tail’ it, removing the spiky looking top part about an inch or so down and cut the bottom off close to the end. Then bash them with the side of your knife to help release its oils and use as required, cutting into smaller pieces if needed. If your going to use your lemongrass in a curry, you can prepare it the same as above, just peel off some of the tougher outer layers first, then use it whole, sliced or crushed into a paste with other ingredients. All in all, Lemongrass is a great ingredient, versatile, adding a lovely fragrant flavour to any dish. 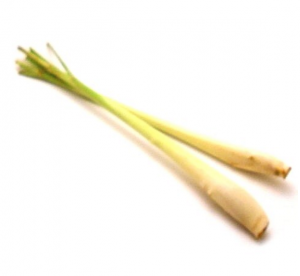 Try some Lemongrass out in your cooking, available online at www.theasiancookshop.co.uk.